Former Russian prime minister dies at age of 85. Russian President Vladimir Putin has offered his condolences to the family and friends of the country's former prime minister Yevgeny Primakov, who died on June 26. "The president has been informed of the sad news about the death of Yevgeny Maximovich Primakov. The president is sending his profound condolences to the family and friends of Yevgeny Maximovich, as well as all people who knew him," Kremlin spokesman Dmitry Peskov told reporters. 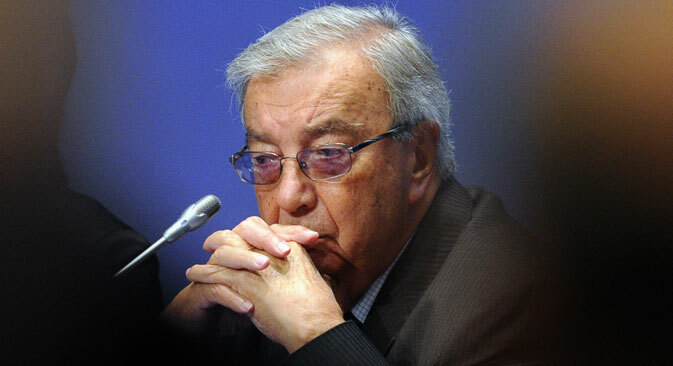 Evgeny Primakov is an politician, economist and expert on the Middle East. From 1996 to 1998, he served as Russia’s foreign minister in the administration of Boris Yeltsin. He was prime minister from 1998 to 1999. Since 2002, he has chaired the Mercury Club discussion forum, which seeks to improve communication and cooperation between entrepreneurs and officials.